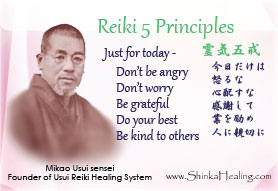 Learning Reiki is amazingly simple, gentle, easy and joyful! Anyone who are interested in Reiki can take a Reiki 1 class (group or private) and be attuned to Reiki to activate your healer's hand on the spot. You can start doing Reiki to yourself and others. While enjoying your dreamy state, Reiki makes an instant, direct connection between you and the source of the high-dimensional healing energy from the universe. Reiki can be taken as your deeply restoring power-nap for your total-self! Join Lumie for Hatsurei-ho, a Reiki way of meditation and breathing practice which Usui Sensei taught for our spiritual growth. 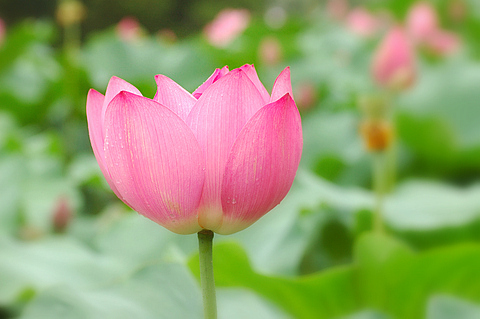 It was traditionally taught for Reiki 2 ("Oku den 奥伝"). You can learn Hatsurei-ho right when you take Reiki 1 and start enjoying it for deepening the way you resonate with Reiki. Welcome to Shinka Reiki at Salon de Reiki.com! Everyone is welcome to the online live (and/or recorded) session! "The natural laws of the great universe and my spirit as a microcosm are always integrated and one." "The whole universe is within me and I am in the universe." "The light is within me and I am in the light."